The British summer has always been a subject of fascination and annoyance, for its fickle, rainy nature. But a new study using supercomputers has shown that climate change will cause even more intense storms and rainfall, with flash flooding becoming a common occurrence. The study published in the journal Nature Climate Change shows the first evidence that summer downpours in the UK could become heavier with climate change. “We used a very high-resolution model more typically used for weather forecasting to study changes in hourly rainfall. Unlike current climate models, this has a fine resolution and is able to realistically represent hourly rainfall, so this allows us to make these future projections with some confidence.”, the study reads. 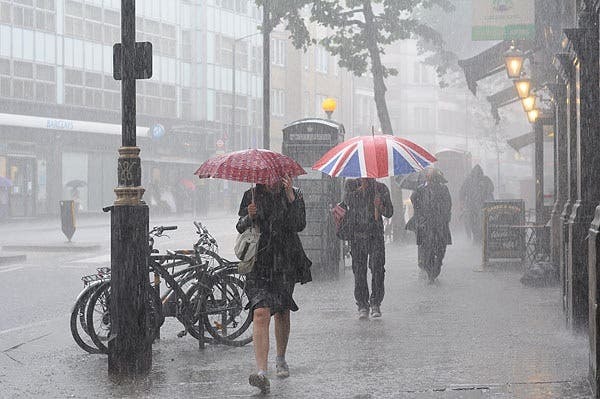 What they found was that summers are likely to become drier; and before you go crazy about this, remember that warmer air can hold more moisture and is associated with much more intense rainfall. As always with climate models, there will always be some debate regarding how it was developed. They used this model to simulate two 13-year periods, one based on the current climate and one based on the climate at the end of the century under a high-emissions scenario (the IPCC’s RCP8.5 scenario). Now, this model is not meant to be a reliable forecast of what the weather or climate will be like in 2100 – especially as large scale models should always be taken with a grain of salt; it just shows how the weather and climate will tend to be, compared to today’s conditions. The trends are very clear. They reported some differences when they changed the resolution of the model, and only reached these conclusions with the highest resolution. So, again, this is not trying to create panic or anything, and the model shouldn’t be taken as absolute. But, according to the physics and climatology we know so far, climate change will cause these negative effects in Great Britain.